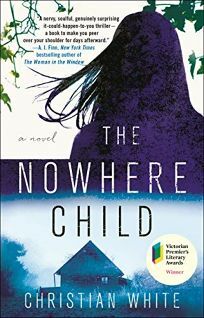 This week: a Kafkaesque suburban horror story, plus Stephanie Land's memoir about the struggles she faced as a young single mother living in poverty. In her elegiac and evocative novel, Cander (Whisper Hollow) explores the legacy of loss, the intersections of art and music, and what happens when physical objects assume outsized symbolism. As a young girl in the Soviet Union in 1962, Katya admires her neighbor’s Blüthner piano; when he leaves it to her after his death, Katya pursues her musical passions and becomes obsessed with maintaining possession of the piano, even when given the opportunity to flee as a dissident. In California in 2012, Clara is a 26-year-old auto mechanic. Her boyfriend has just ended their relationship and demanded that she move out—along with the Blüthner that is her only remaining link to her dead parents. 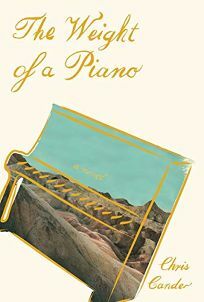 When a piano-moving accident leaves Clara with a broken hand and unable to work, she impulsively puts the piano for sale on Craigslist—and the response she receives sends her deep into the barren beauty of Death Valley and into a new relationship that may shed light on her family history, and on the cursed history of that piano. Reminiscent of Annie Proulx’s Accordion Crimes, Cander’s novel delves into the often unexplainable genesis of artistic inspiration and examines how family legacy—the physical objects people inherit, the genetic traits people carry on, and the generational lore people internalize—can both ignite imagination and limit its scope. Cander brilliantly and convincingly expresses music and visual art in her writing, capturing both within a near-alien but surprisingly stunning landscape. Chakraborty plunges right back into the action set up in The City of Brass with uneasy alliances, bitter rivalry, and explosive secrets in this richly developed fantasy set in an alternate 18th-century Egypt. In the aftermath of a thwarted escape and ensuing battle, heartbroken series heroine Nahri weds the king’s heir; Prince Ali, seen as a threat to the king, is exiled and flees into the desert ahead of assassins; and Nahri’s mother, Manizheh, uses warrior Dara’s ring to recall him into service. Five years pass and Nahri remains in Daevabad, trapped by a vicious king who’s using the lives of her people to force her compliance. 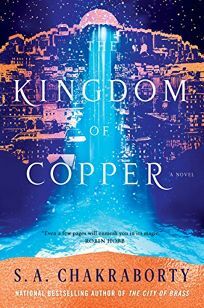 But Ali’s return sets in motion a chain of events that pushes the kingdom to the brink of civil war and intersects with Manizheh’s campaign to recapture the city. Nahri must decide whom to trust when, once again, she is surrounded by death and betrayal. Chakraborty raises the tension and the stakes with emotional dilemmas that bring out the best and worst in these conflicted characters. This intriguing fantasy series appears to be well on its way to an exciting conclusion. At the start of this outstanding thriller from bestseller Johnston (Descent), Audrey Sutter, a student at an unnamed Southern college, asks to borrow bus money from her friend Caroline Price so she can get home to see her father, Tom, who’s dying of lung cancer in Minnesota. Instead, Caroline, a Georgia native, offers to drive Audrey the 700 miles north. A few miles from Audrey’s hometown, Caroline’s SUV plunges into the icy Black Root River, killing her; Audrey survives. Tom, the town’s former sheriff, wonders if the vehicle was pushed. The case echoes back to the death of 19-year-old Holly Burke, whose body was found in the same river a decade earlier. Tom has never forgotten the unsolved case, and Holly’s father, Gordon, still blames the ex-sheriff for not proving that a local teenager killed his daughter. Johnston imbues each character with believable motives. The nuanced plot delves deep into how a community—and surviving relatives—deal with the aftermath of a death. In her heartfelt and powerful debut memoir, Land describes the struggles she faced as a young single mother living in poverty. “My daughter learned to walk in a homeless shelter,” she writes, before chronicling her difficult circumstances. Land got pregnant at 28, then left an abusive relationship and went on to raise her daughter, Mia, while working as a part-time house cleaner in Skagit Valley, Wash. Later, using public assistance, Land moved to a moldy studio apartment and got her daughter into daycare. 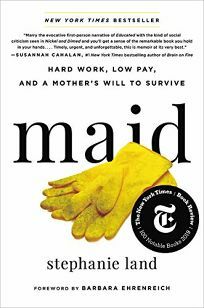 While housecleaning, Land imagines the lives of the clients, whom she knows intimately through their habits and possessions (their apparent unhappiness despite financial comfort fosters compassion as well as gratitude for her own modest space), and experiences the humiliating stigma of being poor in America (“You’re welcome!” a stranger snarls at the checkout as she pays with food stamps). Even while working, Land continued to follow her dream of becoming a writer. She began a journal and took online classes, and eventually attended the University of Montana in Missoula. Land’s love for her daughter (“We were each other’s moon and sun”) shines brightly through the pages of this beautiful, uplifting story of resilience and survival. In his astonishing and riveting debut novel, Lee (author of the collection Greenfly) delivers a taut story about a man’s loosening grip on reality. One morning, James Orr notices “some indefinable shift in the normal order of things” upon waking, then looks in the mirror to see that one side of his face has collapsed. Assured by the doctor that the nerve condition is temporary, James takes time off from his consultant job, spending his days in his suburban London neighborhood and wandering the surrounding woods, “an oasis and an anomaly amid the encroaching city.” The contrast between the orderly housing estate, with its “general air of parochialism and paranoia,” and the woods, with its Victorian ruins, wild parakeets, and rumored hermits, is as stark as the split in James’s face. 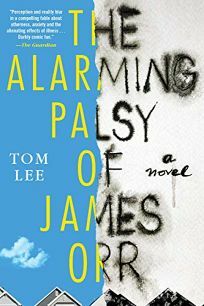 His palsy lingering, James grows disturbed by his superfluity—to his company, neighbors, even to his wife and children—as well as by a sense of vague moral deficiency. Increasingly isolated, he sees his surroundings as a “brittle veneer on reality, one that might fracture or shatter entirely at any time.” Lee uses James’s crack-up to explore the disorienting effects of changes large and small, sudden and gradual, and the result is a perfectly calibrated absurdist novel that amuses and unnerves in equal measure. 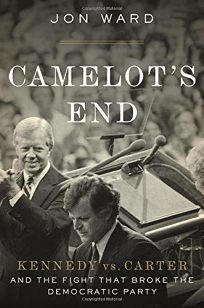 In his captivating debut political history, journalist Ward dissects the 1980 race for the Democratic presidential nomination, when Sen. Ted Kennedy, in an unprecedented move, challenged the embattled incumbent president, Jimmy Carter. Ward gives quick parallel accounts of both men’s early lives, showcasing differences and similarities (“As with Carter, there were deep ties to family pulling Teddy toward a destiny he did not fully control”). Then Ward dives deep into Carter’s first term, including Iran’s capture of U.S. embassy hostages, and Kennedy’s campaign, including an entire chapter devoted to a disastrous interview in which Kennedy struggled to articulate his motivation for running and rekindled public concerns about his involvement in the 1969 car accident that killed Mary Jo Kopechne. The book moves at a steady clip, but not by sacrificing scholarship—Ward draws on journalism of the day, previous biographies, histories, memoirs, and new interviews with some of the players. He engages fully with the complexities and contradictions of both men, including a depiction of Carter as “a man whose toothy grin masked a determined and competitive politician” with a mean streak that may surprise readers only familiar with the nonagenarian Habitat for Humanity volunteer. Ward’s recounting of the seesaw of public opinion in 1980 makes for enthralling reading. 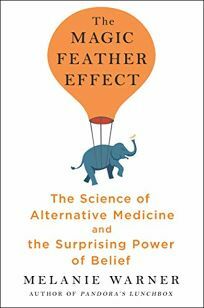 Journalist Warner (Pandora’s Lunchbox) delves into the mysteries of alternative medicine in this fascinating study. As an observer, skeptic, and participant, Warner explores various alternative techniques and what the “surprising number of placebo researchers, neuroscientists, and psychologists” studying the field have said about “scientific reasons that seemingly unscientific practices might work.” In addition to energy medicine, she looks at the history and practice of acupuncture, chiropractic practices, and other techniques. Fair-minded, thorough, and focused on verifiable scientific research, not hearsay or cherry-picked anecdotes, Warner interviews practitioners of these methods as well as those who test their efficacy. In one remarkable case, she interviews a man who claims to have recovered from quadriplegia through techniques learned from qigong monks. She concludes that while alternative medicine cannot “eradicate physical disease or directly repair substantial damage to tissues,” it can have measurable physical impacts, by “relaxing our bodies and reducing stress” and thus affecting “symptoms for which brain activity plays a significant role—pain, panic attacks, fatigue, shortness of breath, nausea,” among others. This well-written survey of alternative medicine also leaves readers with a sharp critique of mainstream medicine: that it does not currently prioritize creating “empathic connections” with patients, the major strength of alternative medicine. At the start of White’s outstanding debut, American James Finn approaches Kim Leamy while she’s taking a between-class break at the Melbourne, Australia, school where she teaches photography. Finn claims that Kim is Sammy Went, a child kidnapped from her Kentucky home at the age of two in 1990. Of course, Kim’s initial reaction is that he’s talking nonsense. As far as she knows, her family has always lived in Australia, and she has a birth certificate. But Finn—who soon admits he’s Sammy’s elder brother, Stuart—has reams of convincing documentation gleaned from decades of searching, including DNA proof. 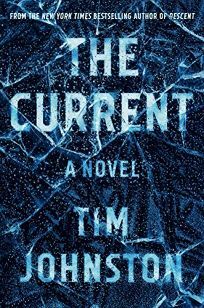 Kim/Sammy’s first-person narrative as she and Stuart attempt to unearth details of her abduction alternates with a third-person omniscient account of the kidnapping and subsequent investigation. By juxtaposing past and present, the author keeps the tension high. The impatient may be tempted to skip ahead, but they shouldn’t. Thriller fans will want to savor every crumb of evidence and catch every clue. White is definitely a writer to watch. In this enthralling, heartfelt narrative, journalist Zia (Asian American Dreams) tells the stories of four people during the 1949 mass exodus from Shanghai following China’s Communist takeover. Benny Pan was raised in affluence as the son of the Shanghai Municipal Police inspector; after his father was jailed for collaborating with the Japanese, Benny protected his younger siblings, helping one escape to Hong Kong, and struggled to survive while remaining in Communist China. Academically gifted Ho Chow, a member of China’s land-owning gentry, moved to Shanghai in 1937 to escape the imminent war with Japan, then continued his studies in the U.S. while his family contended with postwar hyperinflation at home. Bing Woo, the author’s mother, came from an impoverished family who gave her up for adoption; she fled to San Francisco at age 20 with her second adoptive family. Annuo Liu, the daughter of a high-ranking Nationalist official, escaped with her family to Taiwan, joining thousands of other unwelcome exiles. 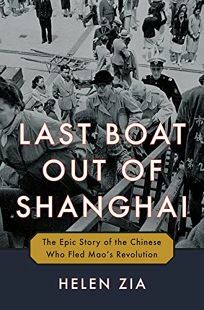 At the heart of the story is Shanghai, China’s “most modern, cosmopolitan and populous city” with its enclaves of foreigners, bustling markets, thriving port, and opium dens, coexisting during the war with aerial bombings, martial law, and panicked upper- and middle-class residents seeking refuge wherever they could. Vivid and well-researched, Zia’s engrossing work brings this tumultuous period to life.